#66 MAN-MADE ELEMENT IN FIJI FLOODS? The heartbreaking devastation of the latest floods in Fiji masks a deeper concern – that human activity may be making the situation a lot worse. As the western town of Nadi was submerged for the second time this year, some difficult questions are being asked about whether developments both upstream and downstream have made Nadi more flood prone. Some locals even wonder whether the town – the third largest population centre in Fiji – should be relocated. Three separate events in three years that have destroyed or severely damaged homes and businesses are being regarded as no coincidence. And it seems only a matter of time before the tragedy is repeated. Upstream, deforestation in the Nausori Highlands above Nadi is being blamed for a big increase in the amount of silt being carried by waters down the Nadi River to the sea. Some locals are alleging that this silt is forming a barrier at the mouth of the river, acting as an underwater dam to push water back towards Nadi. This theory has it that when the river is in flood, it no longer has the same ability to discharge the excess into the sea. Nadi. Should it be there at all? And downstream, say the critics, the river’s ability to discharge water is being hampered by human activity, in particular, the two big tourism and residential developments that have turned the Nadi area into the biggest draw card in the country. The first of these, Denarau Island, was established in the 1970s with one hotel – the Regent – yet now boasts a string of resorts and residential complexes including some of the world’s biggest brands – Hilton, Sofitel, Westin, Sheraton and Wyndham.The second, Naisoso, is currently under construction and already boasts one hotel -Peppers – and yet another string of luxury residences. Is all this development having a negative impact on the environment and more pertinently, river and creek discharges? Is this what happens when tidal mangrove flats give way to reclamation and concrete? It’s an issue that’s bound to come to the forefront once the immediate flood emergency is dealt with. Bainimarama: After the crisis, some hard decisions. Certainly, the thoughts of Fiji’s Prime Minister, Frank Bainimarama, have already turned to the future and what measures the country has to take to deal with what seems to be a recurring problem rather than an isolated event. “Hard and fast decisions have to be made about our infrastructure so we don’t get bogged down every time there’s heavy rain”, Bainimarama said. Does that include a hard decision on the future of Nadi town? That’s certainly the view of some of Nadi’s residents. In truth, the town has always sat on a flood plain yet flood waters have only reached the commercial centre once in a decade at most. But three times in three years and with such ferocity? Local businesses are in a state of shock, having to rebuild and restock also for the third time in three years. They’ll have to find all of the money themselves. For when it comes to insurance, Nadi has long been a “no- go” area. 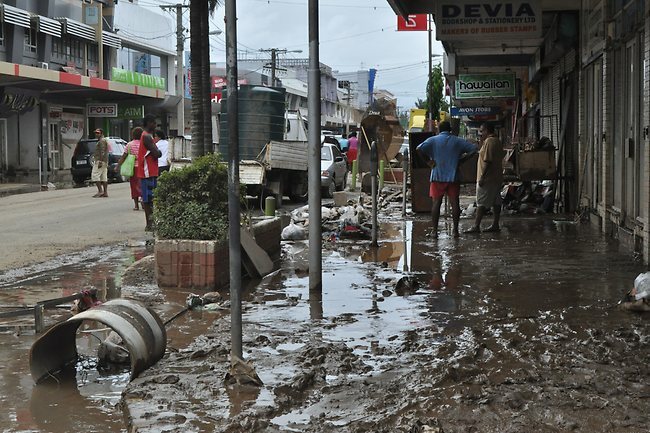 On its streets are two of Fiji’s biggest commercial houses – Tappoos and Prouds – both of which suffered heavy losses and not just from the flood waters. 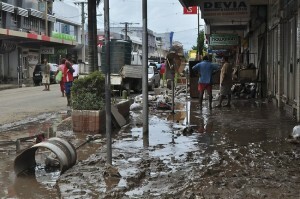 Looting has also been a major problem in Nadi during the latest crisis. In some of the media coverage, people were depicted wading through neck-high waters carrying their personal possessions. The truth is that some of it appears to be stolen property. With more than 14- thousand people in 152 evacuations centres in the west and central divisions of the country, getting emergency assistance to them is, of course, the main priority. Down the track comes the tallying up of both the crippling personal cost and the cost to Fiji’s fragile economy. 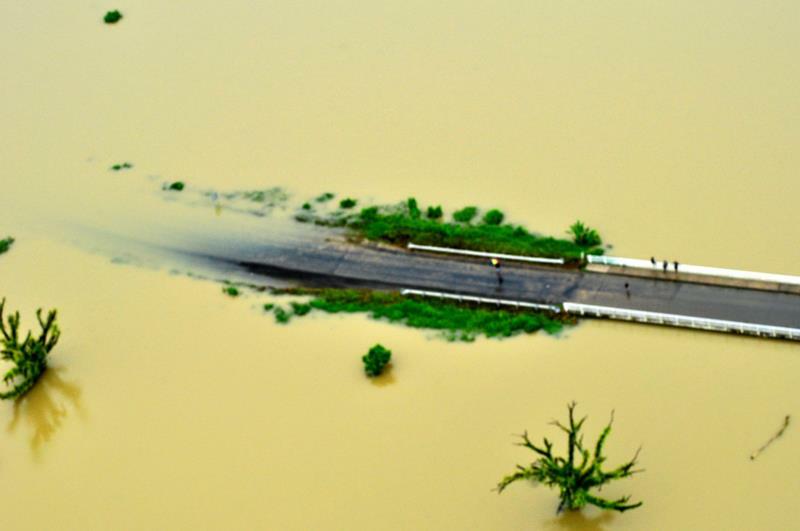 Before these floods, the economic outlook seemed reasonably bright, with the ANZ, among others, predicting modest growth and an optimistic future. But with all that washed away in recent days, Fiji and its people will need all the help they can get. Graham, this link http://www.fijisun.com.fj/2012/03/03/action-plan/ points to a well researched article written recently by John Ross concerning the propensity of the Nadi basin to flood. The article deals with the underlying geography of the region and goes on to deal with the changing weather patterns that have affected both Fiji and the eastern seaboard of Australia from the 1950’s to present day. Some of the local opinion you referred to in your article appears to be incorrect – for instance the blame attached to increased logging resulting in silting which had reduced the river flow. The western division has relatively little natural rainforest and the only forests that have been logged are the pine plantations that were introduced in the early 1970’s. The local knowledge you refer to also calls into question the Denarau and Nasoso Island developments and blames both for acting as ‘plugs’ in the respective rivers. This is simply not so. The Nadi river mouth is a small delta, the main channel of which reaches the sea some 3km south of Denarau island. Denarau itself sits to the side of a minor channel of the delta, which also flows out to sea unimpeded and has, in fact, been widened to form the marina. Similarly the Nasoso river mouth is also a small delta, the main channel of which flows unimpeded out to sea to the north of the Nasoso Island development. Nasoso island itself is created by a small channel which flows south unobstructed. There’s no doubt that a strong case can be made to prevent further development in mangrove areas to mitigate other types of environmental damage. However the likelihood of future floods is not likely to be engineered away by dredging, building levees and creating diversion canals. The United States with all its vast resources has tried that and failed along the Mississippi and in New Orleans. My concern is that the authorities sometime demonstrate a fundamental misunderstanding of the hydrology involved. For example last year Suva Council was reported as declaring that it would reduce the flooding experienced along Grieg Street at high tides by dredging the Nabukalou creek. How on earth were they expecting to cause the sea level to drop by dredging the bottom of the creek? Similarly the only way for Nadi to avoid being flooded in future is not for the river to be dredged but for the town to be relocated over time to higher ground and for the local authorities to refuse to consider all future applications to build below the present flood level which is largely predicated by peak outflow at the time of high tide. Very thoughtful article, I stumbled across your blog, and i think i will be visiting often and commenting too..
you mentioned about the hydrology… yes definitely i believe that so too.. I recently returned from Nadi two days ago and witnessed the floods caused by Cyclone Josie. I tend to agree with the points you made in your first comment. Most of the houses i saw were extremely low laying. Hundreds of people were removing their soaked furniture and other belongings in the gardens after the flood levels dropped. Some newer houses seem to be built on far higher wooden piles (2m) and this will certainly help protect peoples living spaces, if not other lower infrastructure. As far as i know, 7 people died in this recent event. Dredging as you say is a waste. Only widening would help, but also reducing areas where water bottlenecks. The only true answer as you point out is to relocate habitation to higher ground, which of course costs money. These communities are very poor and this won’t happen quickly without outside assistance. I also wonder how much resort profits circulate into the national economy then get allocated to local areas? These thoughts did occupy my mind while visiting. Thank you, Jon, for a very illuminating treatise. It’s just what is needed right now. Because as the shock of these floods wears off, the finger pointing is bound to begin. You say there hasn’t been much logging above Nadi beyond the pine trees planted there. But several people I spoke to swear that the silt deposits in the river have risen in recent years. This doesn’t make it so, of course, and I’m pleased some authoritative research has been/ is being done. Whatever is happening, there remains the question of whether Nadi should stay where it is on an established flood plain. A very vexing issue that isn’t going to be resolved quickly. To my knowledge, there has been studies and researches done by government and this is apparent by the construction of retaining dams in Nadi River and Nawaka River. But the construction is failure because the architect of the dams is wrong.. and not strong. dams are constructed from the edge of the river —- normally the dam would lead to 10-15m extended inside the bank to cushion the heavy weight of the water during floods, but what I have seen is that dams are costructed in the middle of the river and later landfills with gavions made to hold the dam. Need to ask.. what are the use of retaining dams? in Nadi River extending all the way to Nausori Highlands, I think there is 3 retaining dams and in Nawaka River there is 2. Whats the purpose? Another “thought provoking” article from Graham. It would appear envionmental issues do not get enough consideration when the authorities consider development applications!! There has never been a public consultation on the Fantasy Island Development, or Naisoso or any other major development.. if there have been, it may have been to the knowledge of a few. Aust & NZ should just lift their respective sanctions against Fiji. What will be the effect of lifting sanctions do? Any idea? Certainly a very thoughtful article about Fiji and its environmental issues, If only people with monies realise what their development would have an impact on the citizens of Fiji. Let me ask.. Do people really need to live in multi million dollar mansions at Denerau and Naisoso? what is the purpose? .. big buildings and mansions on the beachfronts in Fiji are results of exploitation of the Fijian intellect. The government should stop all development work along coastlines and rivers banks that has direct hinderance to the people of Fiji. Great article, it is crazy for anyone to suggest that denarau has nothing to do with this flooding. How is possible to have 8 to 19 feet of water in nadi town while the denaurau hotels are high and dry, the denarau development is acting like a dam blocking nadi town behind it, anyone who is familiar with Fiji can tell you that there has never been flooding of this magnitude in the west, especially not on such a regular basis. 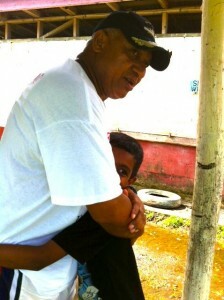 The developers need take responsibility for the impact of their development on the innocent people of nadi. With all due respect Mr. Orton sounds like an apologist for the development community suggesting that local opinion is incorrect and only they have the answers. I can’t believe that someone would seriously question whether nadi should stay where it is. This is typical of western development in developing countries, create a huge problem for locals and then question why the locals are in that particular spot in the first place. If somebody released water from a dam upstream somewhere, would that explain the flooding? 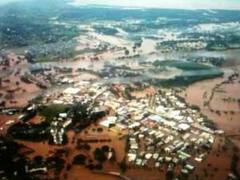 I think a syphon and inflatable barrage system would take the sting out of any flood in the Nadi river. During the rainy season the Vaturu dam should be kept at a determined level below overflow and if the dam is built to withstand a higher level than a inflatable barrage could be installed on the overflow. I would think that this would be the cheapest and quickest solution for Nadi in the interim whilst more expensive engineering solutions, which have already been designed, be built. i.e Wailoaloa Beach overflow diversion. Despite over 10 years of warnings of more seriuos floods, droughts and hurricanes, government is deaf and dumb, until after the fact. Neither democratic government nor military junta has implemented solutions to save Nadi? Which individual decided that nadi flood mitigation was not a priority…that potholes were more important? Digging up and replacing some still perfectly good road in the West has higher priority then millions of dollars of assured flood damage to life, crops, stock and personnel property. Any wonder why I believe that a One Party State is worth a shot. That District Guardian Councils ( decentralization of PSC) must be implemented despite what system of government we have. I find it ironic that there was more production back in the 70’s and 80’s being moved on dirt roads and rickety old bridges then on our now modern highways.